Wastl East Scale Helicopter is currently working intensively with our lighting system. 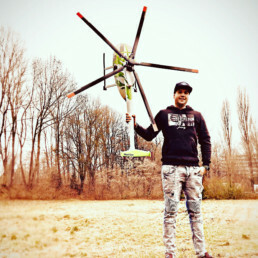 In a series of videos in particular the helicopter fans get a great impression of what is possible with our components. It is always very motivating for us to see our customers enter the world of lighting with enthusiasm and success. The feedback helps us to find out what we can do better in the future. We look forward to many more projects with Sebastian von Wastl East!